it may be a pointer that you are suffering from some form of depression. 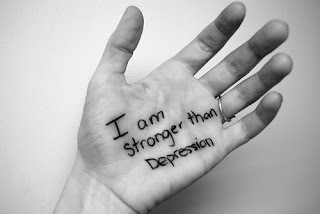 Some people are more susceptible to depression than others, and it is something that you can overcome. Change your lifestyle, take control of your depression, and make a full recovery. Here’s what you can do. 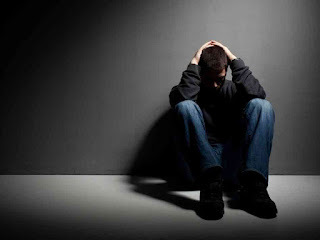 Signs of depression may vary, but there are some common symptoms indicating that you may be suffering from depression. Feeling guilty or worthless without knowing why, constant tiredness, insomnia or excessive sleeping, fatigue, lethargy, unusual weight loss or gain, desire for being alone, pessimism and suicidal thoughts. If you recognize these symptoms in your own behavior, seek help from a doctor. Professionals are there to help with identifying the cause of depression. It can be simply genetic, or due to other illnesses, hormonal imbalance, drug or alcohol addictions, and as a possible side effect of medication you’re currently taking. Take a step back, perceive your life as a whole and seek for personal reasons such as financial troubles, bad environment, unfulfilling job, or disappointment due to a failed relationship (romantic, family or friendship). Realize your state as acute, as something treatable and temporary. There are medications and antidepressants, prescribed by your doctor, which can help you. However, if you’re strongly against medication, here are some ways for natural treatment of depression. When depressed, people feel that they’d rather crawl into a hole and wait for better days to come. Brain sends these messages because it interprets the pain of depression as a form of infection. What you need is human contact – family, supportive friends and, simply, positive people. There are natural health resorts and therapy centres that are a good mental health retreat for those who want to recover from depression. Overcome those negative thinking patterns. Your brain’s information processing is biased, leaned more towards negative and pessimistic thoughts. It prolongs and deepens your depressive condition. Recognize and defeat them by understanding that those feelings won’t be there forever, make a list of positive arguments and points, make decisions and act upon them. Learn to be more assertive and, when feeling down, try to look for the good in your life. Rest, nourish and cherish your body. Sleep well and long enough to feel refreshed upon waking up. Avoid alcohol and caffeine, remove everything that might disturb your sleep from your bedroom and maintain a strict sleep routine. Also, make sure you exercise regularly and practice different activities. Group sports and other group activities are perfect for helping with depression. Eat regularly and healthy – vegetables, fruits, whole foods, nutrients regarded to have an antidepressant effect, and drink lots of water. Keep yourself occupied and maintain a busy schedule. That’s how you will prevent all the negative thoughts from spreading and permeating your mind. Find a hobby that keeps you focused, get a pet because pets require attention (feeding, grooming, playing). Make a schedule for each day and stick to it. That will give a sense of direction to your life and ease the symptoms of depression. Understand that feeling good, happy and satisfied is yours and everybody else’s right. It is something that you should provide to yourself. People around you can be supportive, but you cannot expect others to make it happen. Do things you like without guilt and treat yourself with a dinner, seeing a movie, or taking a trip with your friends. Loosen up, don’t impose limits to your life, and try to avoid perfectionism. Setting unrealistic goals and standards is likely to make you feel more stressed, if you don’t achieve them – it doesn’t mean you’ve failed. Thanks Truc Nhat, that's so nice of you. I will check your site out. The best way to get out of depression is to stay busy. If you are involved in some king of work, you would not get chance to think about things that cause you depression.